Faith-Centered Fitness helps you live your life to the fullest. This Christian-based, holistic wellness helps you achieve physical, mental, emotional, and spiritual health. Our programs guide you to set your mind on God, your body on health, and your soul on love. In today’s world we are continually urged to compromise to earthly pulls. Our financial, emotional, social, physical, and spiritual fears and frailties – all very human – can lead to dependence on what seem like quick fixes. Faith-Centered Fitness helps you stay strong and grounded in the Lord, regardless of your life circumstances. This program has helped hundreds of people, reaching a wide demographic range, from teenagers to seniors, from alcoholics to homeschooling moms, from “the desperate” to the “just not fulfilled.” Faith-Centered Fitness helps you establish your foundation and live a more fulfilling life. 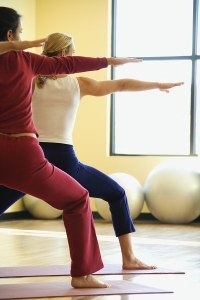 Faith & Fitness Vacations are a great way to jump-start your Holy, Healthy Happy living. On vacation you feel fresh and energized. Why not use that energy to your advantage. Contact Kimberly to create your personalized Faith & Fitness Vacation. This unique company was born from a realization that physical fitness alone, even at an Olympic-striving level, does not make for a healthy whole person. Kimberly Mathews, founder of Faith-Centered Fitness and a certified wellness instructor for the past three decades, was once a candidate for the Olympic marathon. But, physical fitness alone left a void. This accomplished athlete shares her journey with clients, who, like her, are realizing that there is more to wellness than toned biceps. 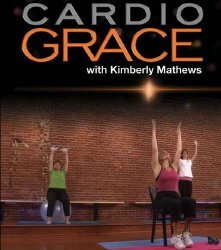 Kimberly uses her personal experiences and an arsenal of effective workouts, inspiring Christian-based scripture, soothing meditations, nutritional guidance, and self-motivation techniques to help people achieve lifelong holistic wellness.